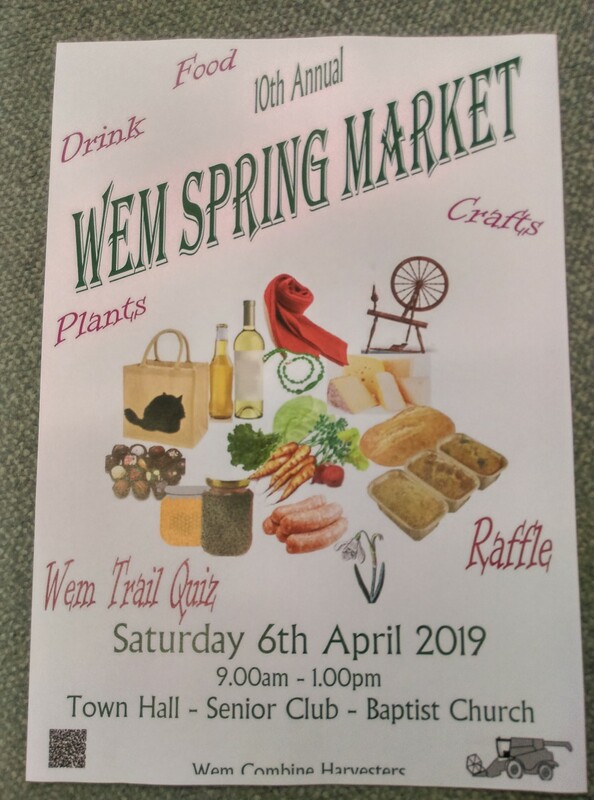 Wem Town Hall hosts the Wem Town Market every Thursday morning from 8am, which is extended to the Town Square (next to Co-op supermarket in the main town car park). There are a wide range of traders selling fresh, tasty, local produce as well as cards, gifts, clothing, household items and more. Traders enquiries should be directed to WTH reception in the first instance.